The “proud negotiations” that Alexis Tsipras keeps talking about were completed on Thursday night with Greece agreeing to prolonged austerity measures and without getting what the prime minister has been promising Greek people ever since he set foot in Maximos Mansion. 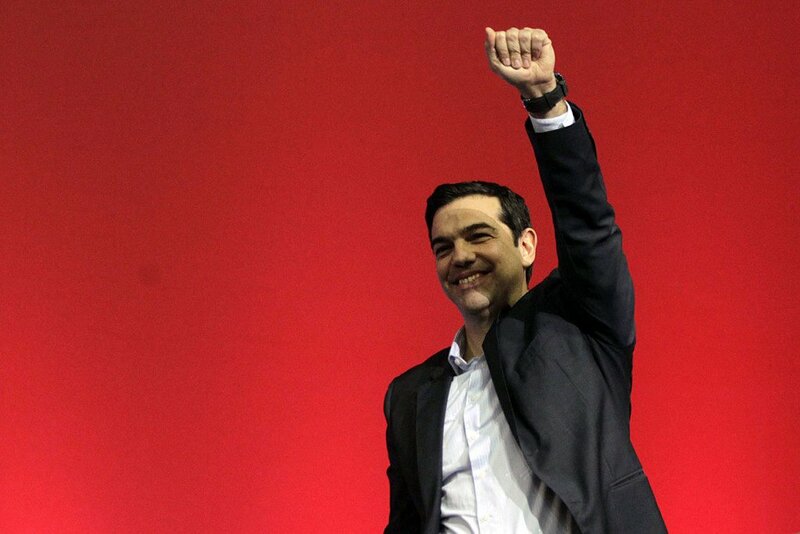 According to Greek government doublethink, there is cause for celebration. Finance Minister Euclid Tsakalotos said the deal provided greater clarity, for both citizens and investors, and spoke of “more light at the end of the tunnel.” State newspaper Avgi put “The beginning of the end of the Greek drama” as a headline on Friday morning. Ministers and SYRIZA lawmakers stated that this is the end of memoranda and Greece is getting on the path of growth. They are one step away from gathering at Syntagma Square to celebrate with music and all. But wait, didn’t Tsipras himself say that we will not sign if there is no written commitment about medium-term debt relief measures on behalf of creditors? The debt relief issue was postponed for later. And the absence of such commitment was the main reason the Greek government did not agree in the six previous monthly meetings of euro zone finance ministers. Ever since May 2016, Greece and creditors agreed on short-term debt relief measures and at the same time they agreed that medium-term debt easing will be discussed after the end of the current program in August 2018. However, in order to sugar the pill of the harsh measures, Tsipras started promising Greek people more debt relief measures. And kept demanding more debt relief based on the International Monetary Fund assessment that the Greek debt is not sustainable. In every Eurogroup since, the Greek team was demanding more debt relief, with creditors replying that the issue will be discussed after the completion of the current program. And this is how the whole show started. For the past six months Greek people have been the spectators of a cheap, badly acted play where the actors pretended that they are honest leftists caring for the people. The bad men of the script were Poul Thomsen of the IMF, German Finance Minister Wolfgang Schaeuble and other EU officials who expressed their dismay over Tsipras’ tiresome tactics. The good guys were Tsipras and his cast of ministers and MPs who were fighting the evil lenders like knights in shiny armor, but with no tie. A subplot of the play was the bad Germans who, purely for propaganda reasons, the Greek government has elaborately linked with the Nazi forces that occupied the country in World War II. The war reparations issue has also been cleverly incorporated in the script, so that Schaeuble is portrayed as the villain with strong implications he is a modern-day Nazi. And since Germany is the leading power of the EU and the euro zone, the whole union has been implied as the bad colonialists who want to plunder poor Greece. The six-month play where the actors were continuously going to Brussels and back, with every Eurogroup being more crucial than the previous one, with the protagonist shouting his defiance to the European rules, became so exhausting that the audience was too tired to even boo. But coming out of that play on Friday morning, the spectators are not blinded by Tsakalotos’ “light at the end of the tunnel.” Instead they are blinded by the reality of a government that hinders entrepreneurship and investments and does nothing to curb unemployment or produce wealth, while at the same time overtaxes every productive element of Greek society and with indirect taxes has raised the cost of living, driving more and more Greeks to the poverty threshold.